D.E.A.D. rule (Development, Execution, Assessment, Dis- timing of purchases and executing hedges? Do you ‘cost cipline) is critical because if you don’t adhere to these im- average’ over multiple purchases or do you execute all at portant principles and actions, your program is likely to fail. once based on a certain price level? 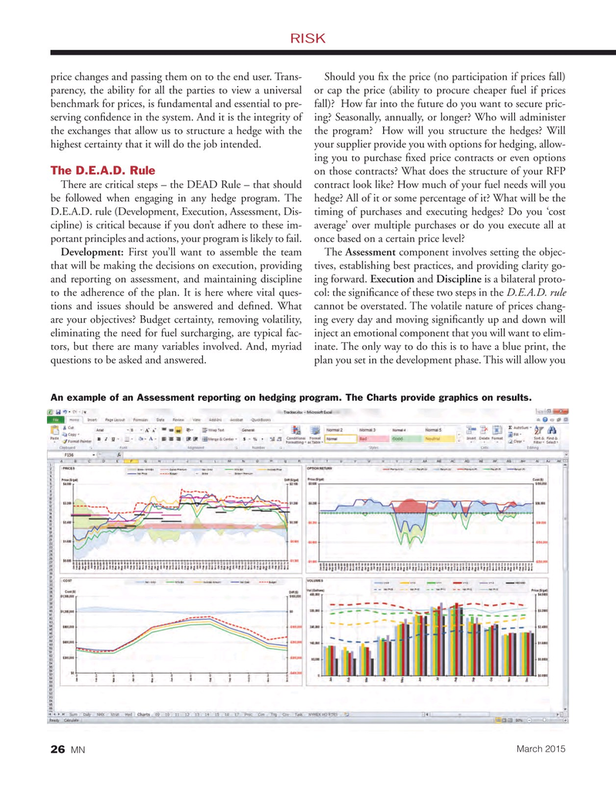 An example of an Assessment reporting on hedging program. The Charts provide graphics on results.